David Gilmour owns over a hundred guitars and that’s probably the most unsurprising thing ever. The man lived his life perfecting his craft and he has accomplished that nicely. 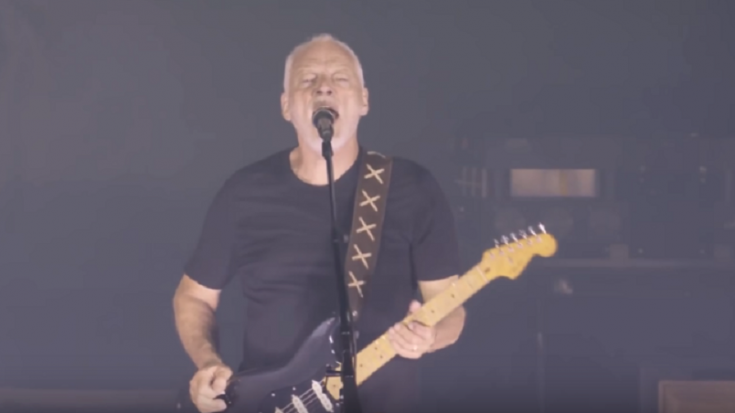 We cannot imagine any other guitarist who can do what Gilmour does – sure, technical-wise, there may be hundreds who can pull it off. But to say that someone plays EXACTLY like him, that would be, well, absolutely impossible. As he auctions off around 120 of his most iconic guitars at Christie’s New York which he used during his time with Pink Floyd and as a solo artist, Gilmour sits down to share some of the wisdom he has gained over the years. He also shared how he managed to find his own sound. He even revealed that he didn’t want to focus on playing one thing only. He doesn’t get fixated over anything too. And guess what he did for another guitar god. “I’d always kind of wanted a Gibson Les Paul. We used to be sent various circulars of guitars that were on sale throughout the world. There was one guitar trader in New Jersey who had the 1955 Les Paul on his list. It was all gold — the back and the sides and the back of the neck, and it looked great. I bought it and had it sent to LA where we were working on The Wall album. Not long after it arrived I used it for the solo on Another Brick in the Wall, (Part 2). We injected it straight through the desk and onto tape, not through any amplifier at all. I’ve always loved that guitar. “Pieces of music often present themselves when you’re strumming. A couple of notes can make a little connection in your mind so you play them again and then they expand a little bit. Ninety per cent of the little tunes I play, later on don’t seem to have any particular meaning or magic. And then you play something else and it has a magic to it and you hope that magic will work for other people too. There’s no real way of explaining that or understanding quite how that works.